Catherine Pegge was the daughter of Thomas Pegge, of Yeldersley, near Ashborne in Derbyshire and born circa 1635. Her family had been settled in the area for several generations. Catherine was said to be very beautiful. It was during his exile that the king first met Catherine. In 1657, she gave birth to Charles’ son, whom he called Charles FitzCharles. He did not call him FitzRoy. They also had a daughter, Catherine FitzCharles, in 1658, who died in infancy. In 1675, Charles II created his son, Earl of Plymouth, Viscount Totness, and Baron Dartmouth. In 1678, Charles FitzCharles married Lady Bridget Osborne, they had no children and he died of a flux at the siege of Tangier in 1680. After her liaison with Charles II, Catherine married Sir Edward Greene – they had no children together. There had been rumors that Katherine continued the affair with the king — it was said he had a mistress by the name Greene. There are allegedly two portraits of Catherine Pegge by Sir Peter Lely, the whereabouts of which are unknown. Elizabeth Killigrew was born in 1622 in London and was the daughter of Sir Robert Killigrew. She was also the sister to dramatist Thomas Killigrew. 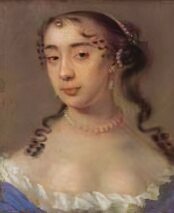 She married Francis Boyle in 1639 and eventually joined the royalist court-in-exile of Queen Henrietta Maria as her maid-of-honour. While performing her duty there she became a mistress to the queen’s son, the future Charles II. Around 1650 Elizabeth gave birth to a daughter that was fathered by Charles – Charlotte Jemima Henrietta Maria FitzRoy. 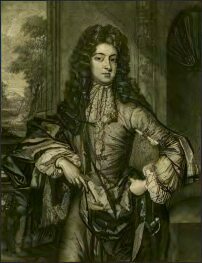 In 1660, the same year Charles was restored to the throne, Elizabeth’s husband (Francis Boyle) was raised to the Irish peerage as Viscount Shannon. Charlotte died on 28 July 1684 in London. She was buried at Westminster Abbey. Both Elizabeth and Katherine were minor mistresses in Charles’ life compared to the other ones we’ve covered in this series. They both bore children by Charles, but not much is known about their time with him.